No, I'm not. You are :) The discount doesn't include fuel! Never has done. You need to purchase over £2,000 per year in store to make the cost difference back. So unless you spend £200 per month the gold membership is not worth it. I would further suggest that often savings are better at supermarkets on some items, so that extra spend probably needs to be higher per month as not a true saving on what is possible if you split your purchases wisely. I've had gold, and hold trade now which is fine for me. Agree. Copying the barcode results in the valid members name appearing on the pump display then you are paying with a debit csrd with a differdnt name. That mismatch will get picked up then they match the point of sale time with your reg on the forecourt number plate recognition camera's.. and you are nicked for fraud. So Bargain Bert, Just get a membership like the rest of us you tramps ar*e.
You are missing the point. 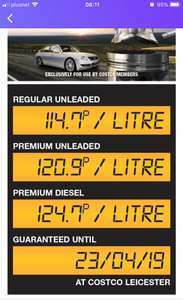 Yes pay standard membership and still get the fuel at this price but the membership has cost you. You don't get the 2% back on purchases. Buying a gold membership gets you the 2% cash back which negates the cost of the membership.. do you get it now ? Correct... I have put £994 in the HUKD title, as "some" buyers, may have to pay for delivery up to £50 as its MASSIVE if they cannot wait for free delivery slot! Plus they've upped prices of their fuel, so that £3 saved is long gone and it's win win for Morrison's! Doesn't seem to exclude adblue? Buy 30l (if you have 3 spare adblue cans) then get 10p off fuel. So what additives are in BP 95 octane compared to Asda's 95 octane? Do the Maths, I would agree that BP is generally around 8p more expensive than the other Cheaper Stations. So spend £20 gets you 10p off per litre on your next fill, 10p minus the 8p you would have saved by not using the Cheaper Stations means you save 2p per liter, 20 quid divided by 2p is 1000, fill up 1000 litres on you next fill and your at break even point (ie you got your £20 spend back) can your Car hold 1000 liters in one fill up. Or look at it another way, fill up 1000 liters over time by using the cheaper Station and youve just saved yourself £80 by not using BP in the first place. Make sure you check all the details that these comparison sites autofill for you once they transfer you to the insurers own site. Had it put incorrect info in on nearly every occasion when you go back through the quote. Usually because the questions the comparison sites ask don't quite match the wording of the insurer. Nothing major but worth double checking, has also reduced the quote before as well. anyone who doesn't change annually is most likely gifting money to insurers anyway. Havning had both Elephant (admiral) and Aviva deal with non fault claims I've had, Aviva were leaps and bounds above Admiral. Worth bearing that in mind. Totally Agree this stuff is really nice and lasts, brilliant - have some heat!!!! Love the fragrance. Remains on and detectable from about 2metres for half the day. I got 200ml when it was on sale for £40. Its my daily spray for work as its pretty cheap and long lasting. Lasts all day for me but I purchased from The Perfume Shop. Nope it won't. By all means Google it and find out for yourself. As others have suggested this is the equivalent to filling up with super unleaded or the super diesel equivalent. BUT this is a much cheaper alternative as a full tank of this premium fuel will set you back £5.50 on an average 55 litre fuel tank, as premium is approx 10p per litre more expensive. This costs £2 and is half a bottle per full tank, so effectively £1 as opposed to £5.50. A no brainer for me. I love all these self proclaimed experts claiming it's snake oil or a facade. What redex actually does is boost you fuel to give it additives to make your fuel super unleaded/diesel, but at a much cheaper cost. So you can buy supermarket fuel which doesn't have all the fuel additives, add this save money and get premium fuel. 250 bonus points every time you fill up with BPme, up to 5 times. Expires 24th April 2019. Not on mine, my partner's or my Dad's. Never miss a 'Petrol and Diesel' deal again! Haha, I rarely forget which phone people are using if they tell me :D it's an affliction. Cheers, how's the 7x, still going well? 5p off all the time and 2% cash back at Costco better fuel more miles per tank winner all round . Down side you have to have Costco card . Too far from me. Surrounded by Sainsbury and Texaco. If you looking for a LOT of coke I know a guy! I agree but Tesco Asda are stocked up. I just think that my local Morrison’s is awful no stock in there ! What should I use? Stick to Morrisons? Seemingly linked to this offer (incase people miss it) is the possibility of £2 off a £10 fuel spend at Shell. See thread here. Just switched to them ourselves. Beat our current prices by £200 &amp; were the cheapest by a pretty big margin, checked all the comparison sites going first. Will never use this offer though, the shell garages near us are always way more expensive than the other ones. hmm shell energy pays me (solar power) i wonder if i still count as a "customer". Excellent, I was loooking for one for the lawnmower yesterday, heat. A gallon is 4.546 litres so this will take a car which does 40 miles to the gallon (mpg) 40+ miles which is certainly enough. Most lawn mowers have something like a 0.4 to 0.8 lite tank so again this is loads. Also lots of laws with regards to how much petrol you can keep at home, how far away from house and in what. Petrol stations will get in to a huge amount of trouble if they let anyone use a 10 litre plastic can, max is 10 litre for a metal can or 5 litres for a plastic can. True. We keep our cars a long time but got rid of our Saab estate when the ved changed - we calculated that the road tax would soon be a third of the value of the car, making it hard to sell on. I had forgotten though that ved is calculated differently nowadays though - as another poster has said, the ved won't be £450 forever and will drop to more reasonable levels. Yeah but the 5 series is much more expensive than this in the real world. I didn't like the E220d, the 520d was too expensive, the A6 was right at the end of its model life when I was looking, so I ended up in the V90. Which is perfect, no 5 series, but perfect for what I need it for. That sounds like bad luck - I’ve had the C-class since new (2016) and only issue I’ve had was an auxiliary battery not charging. Fixed under warranty. calm down and don’t get angry lol you are a bit of a monkey aren’t you! I don't like this new system, I fill up a whole tank every 4ish weeks so I'll get a reward in 2020! Pants! The fuel rewards aren't very specific yet, but the terms say that after 10 visits you should get at least £1 off fuel. 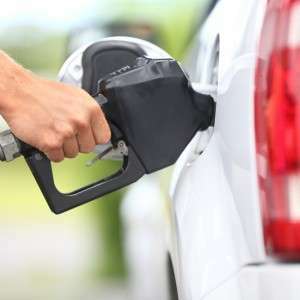 If you are willing to restrict how much fuel you put in at any one time, and especially if you tend to pop in the shop and buy a sandwich or whatever separately then you could save a bit more on fuel than with the old driver's club. 500 litres of regular (£600+) or 250 of V Power (£300+) was £2.50 back on the old scheme. They did do the odd email promo where you gained 40 points or so which helped, but it had conditions and time limits. If you never put in say more than £15 (approx 12.5 litres) at a time, therefore £150 for 10 visits (125 litres) and you only get £1 in return, this will still earn you a little bit more back at minimum fuel reward rates. £150 per £1 reward, £450 spent for the same £2.50 reward that was ~£600 spent before. If you use V power I believe you get another £3 after 300 litres. So 10 x visits of 30 litres = at least £4. Potentially more I guess if they clarify the amount of fuel reward you get. Luckily my favourite Shell station also sells these delicious chocolate cakes for £2 so I have an even better reason now to indulge. Calm down nutjob. It was supposed to be written on the duplicate post. Someone needs anger management. The new duplicate of this post has now been removed. Picked one up in Lakeside Thurrock today. They had quite a few on display. Didn't realise how big the brute was. Had difficulty loading into my Focus estate. If collecting bear in mind it's in the region of six foot long! Build quality doesn't appear all that but at £60 worth a punt! Temporarily OOS but can still be ordered for future delivery.